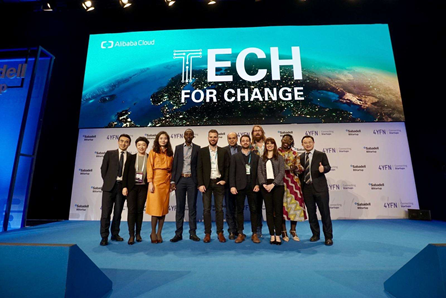 The recent announcement of Tech for Change initiative by Alibaba Cloud, a major cloud-computing biggie of Alibaba Group, at the Mobile World Congress (MWC) has flooded numerous enterprises, budding startups, and young entrepreneurs with inspiring ideas. The notion behind this social initiative is to nurture these creative, entrepreneurial minds with access to Alibaba’s technology expertise, global computing resources, and talent development programs (including Alibaba Cloud Academy and its AI platform Tianchi) to inspire them to showcase their global social and humanitarian challenges in areas such as education, economic development, and the environment through tech and innovations. One of the first collaboration of the Tech for Change initiative is an African-led global movement named iamtheCODE, aimed to mobilize governments, businesses, and the philanthropic foundation based on STEAMED (Science, Technology, Engineering, Arts, Mathematics, Entrepreneurship, and Design) module to empower one million woman and girl coders by the year 2030. Witnessing millions of women being digitally equipped and financially independent through Alibaba’s Tech for Change initiative will genuinely represent a historic moment for mankind!